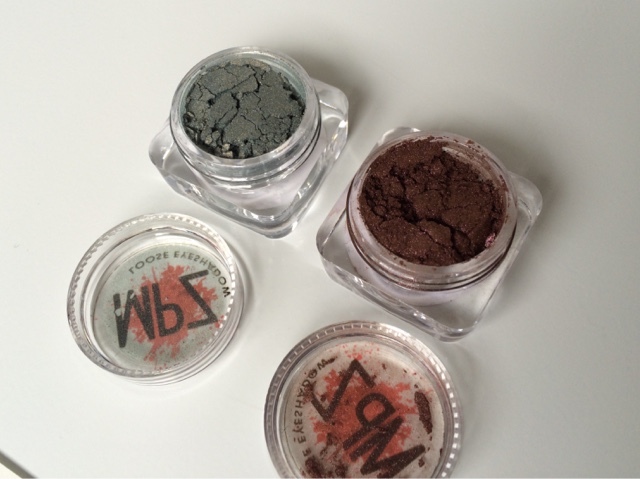 The Vegan Mouse: My Pretty Zombie Cosmetics. 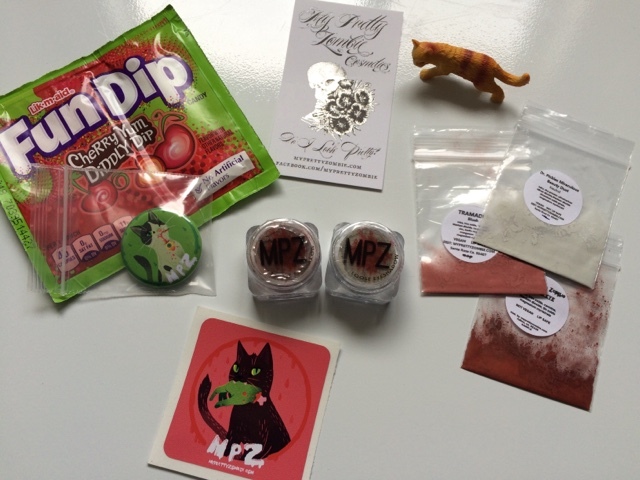 MPZ offers vegan and non vegan makeup for the undead! Gorgeous colors and awesome packaging and branding. 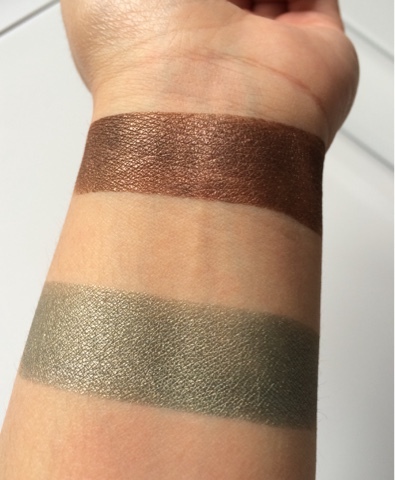 I got two eyeshadows in Cookie Pants and Melancholic. Also includes goodies and free samples (the eyeshadow wasn't vegan but the blush and powder were). Cute! 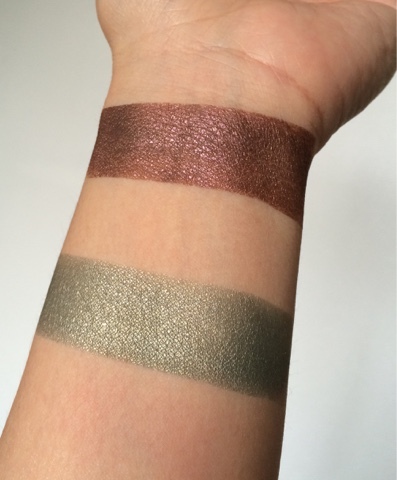 Melancholic is a soft green with subtle gold shimmer. 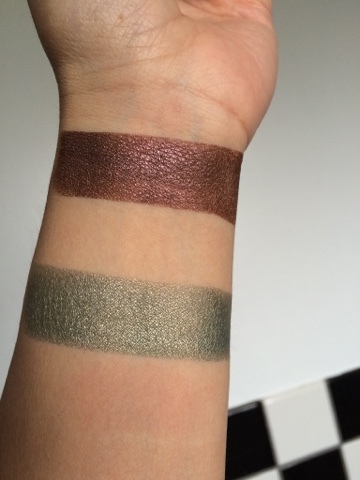 Cookie Pants is a warm brown with rose wine gold shift. I love them! Cookie Pants looks burgundy in some lighting. Looks brown in others. Melancholic is gorgeous. I'm not into green that much but this one is lovely. Thanks for the link! Love that brand name and the kitty sticker. 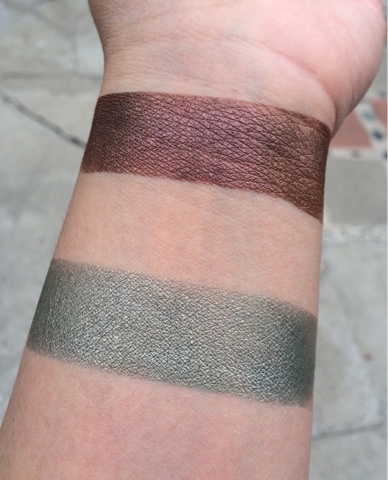 I have green eyes and I've looked for a subtle green eyeshadow that doesn't scream 1970's and Melancholic looks so pretty. I like how you put the shades on your skin because makeup in the case isn't a true gage of how it will look. Brija Cosmetics 4th Birthday Sale. Soup and Pasta and Rice!